Flow can be difficult to style. It requires you embed the Flow into a visualforce page. Then you need to know what CSS styles to modify. Salesforce provides some help documents on this, but it’s not complete. to a pretty horizontal alignment? I choose to remove the header and sidebar to make finding the HTML and Classes easier. Then I loaded the Visualforce page in Chrome, right clicked on the radio buttons and selected “Inspect.” This opens a handy debug tool for inspecting the HTML and CSS of a page. element for the entire field. 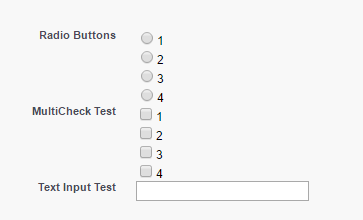 Finally, we see the <div> with the label and choice for each radio button didn’t have any class assigned. What else do you want to change in a Flow? How else would you like to change the look and feel? Thank you for this! I have been searching everywhere for some instruction on how to modify flow UI. Do you know how I could replace the loading spinner? Or just creating a new loading spinner that appears over the whole flow? What would you replace the spinner with? I’m curious to know what your use case is for wanting to replace it as well if you’re able to share. Thanks for the reply! It’s not so much that I want to replace the graphic. On desktop it looks fine because the loading spinner appears as an overlay. On Salesforce1 on iOS, it appears at the bottom of the screen, below any choices or display text. This means that it is often pushed below the viewable area and it seems like pressing “next” isn’t doing anything. I tried copying the waitingcontainer div in other places on the VF page that contains the flow, but it doesn’t seem to do anything. Not sure if you’re interested, but I was able to solve this by creating an overlay with the SLDS spinner using jquery. I’m looking for a way to adjust my dynamic choice checkboxes from a flow that is wrapped into a VF page. The DIV class is .interviewFormChoicesWithHelp, same as in your instruction. the text is assigned left, as I want it to be, but the choice checkboxes are more center than left. Julian, thanks for the feedback. I don’t have an example right now to check. My guess is there’s some parent html element that’s being styled that your dynamic choice is descended from. I would inspect your page and see if there’s a container above the dynamic choice that you may need to also style to the left in order to get the dynamic choices to move over as well.